The first operational training base for the F-35A this week hit a new milestone: 1,000 flights. Maj. Joshua Arki, 61st Fighter Squadron instructor pilot, on Tuesday flew the 1,000th sortie at Luke Air Force Base, Arizona. It is now the fastest wing to reach 1,000 sorties in the F-35, according to the Air Force. The flight occurred about one month before the first official class of student pilots is set to get started at the training center on base. The milestone was the second in a week at the base. Brig. Gen. Scott Pleus, commander of the 56th Fighter Wing, flew the first student sortie at the base on March 19. “With initial operational capability scheduled to occur late next year, it’s important that we get our training program and process dialed in and as efficient and refined as our F-16 training program is so we can help meet the Air Force’s scheduled goal,” Pleus said in an Air Force news release. Luke is the base tasked with training the Air Force’s operational pilots, and is set to receive 144 of the jets by 2024. Instructor pilots have been training at Eglin Air Force Base, Florida. 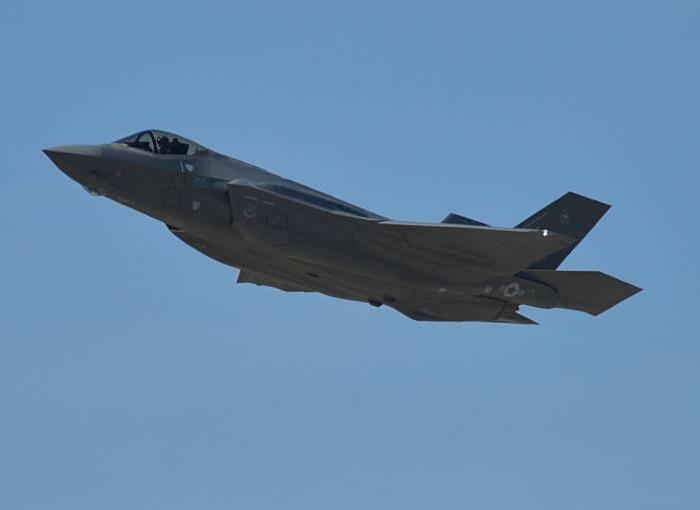 The first operational F-35 squadron will be at Hill Air Force Base, Utah. Luke currently has 20 F-35s on base, including two for the Royal Australian Air Force.